The Fujitsu LifeBook S760 reviewed here uses a standard – rather than a low-voltage – Intel Core i5 processor, so battery life isn't as impressive, but the laptop is almost as thin and light as the P770 and performance is even better. The Core i5 CPU showed stunning levels of power during our benchmarking tests. Multi-tasking with resource-hungry applications is no problem. Multimedia performance is a little more limited because of the integrated Intel graphics card, but we found that basic amounts of gaming and photo editing is possible. When working away from the office we managed to squeeze 269 minutes from the battery which is more than enough for most commutes. Mobility is further enhanced by the slim dimensions and 1.7kg weight, which places this laptop in the ultraportable category. This is even more impressive when considering that Fujitsu has managed to fit a DVD drive into the thin and light chassis. The textured design on both the lid and interior is resilient to fingerprints and other scuff marks, although the result is a rather plain plastic look. More concerning is the weakness of the chassis, which shows a lot of flex around the palmrests and the screen. A well-padded carry case will be essential to avoid damage on the move. Thankfully this poor build quality does not extend to the keyboard, which is very firm with a perfect amount of travel. The tapered keys are excellent for touchtyping and are well spaced and logically placed. The touchpad is also excellent, with two mouse buttons separated by a fingerprint scanner which provides extra security for your essential documents. Usability is enhanced by a circular scrollpad. Rotating your finger clockwise on the pad scrolls down any documents or web pages you're viewing, while anticlockwise motions scroll back up. There are also a row of shortcut buttons above the keyboard for performing actions such as locking the laptop or making changes to the power settings. The 13.3-inch display isn't the brightest around and images lack vibrancy, but the screen is non-reflective, making it perfect for working outdoors or in bright offices. Other features include a Sleep-and-Charge USB port, which charges portable devices even when the laptop is switched off. 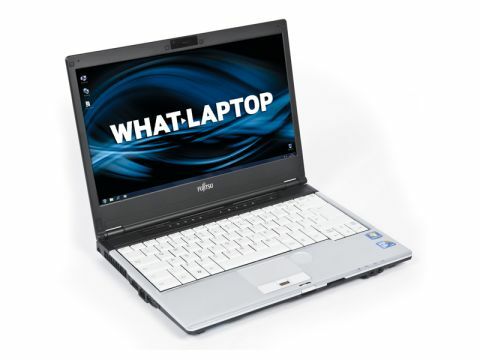 The LifeBook S760 isn't cheap, but it packs a lot of power into a portable chassis. Sadly, the fantastic usability is slightly flawed by the poor build quality.